Smart Plugs can be used for 2 different purposes. They can be controlled via the app to switch devices plugged into them, via a schedule. They will boost the signal around the property improving reliability of the system and battery life. The signal travels in straight lines and the only devices that relay the messages are the Smart Plugs, Electric Switches and the Receiver Units. The signal does not bend or bounce, so when positioning think about how thick the wall is that the signal is going to have to pass through to get back to the Genius Hub. Consider that thick stone or concrete walls will be impossible for the wireless signal to penetrate, so the Smart Plug may need to be positioned in a wall socket, which gives a longer route but through thinner walls. In properties with a larger footprint, Smart Plugs are often placed on the upstairs floor as the walls are generally thinner upstairs and the signal goes through floors easily. 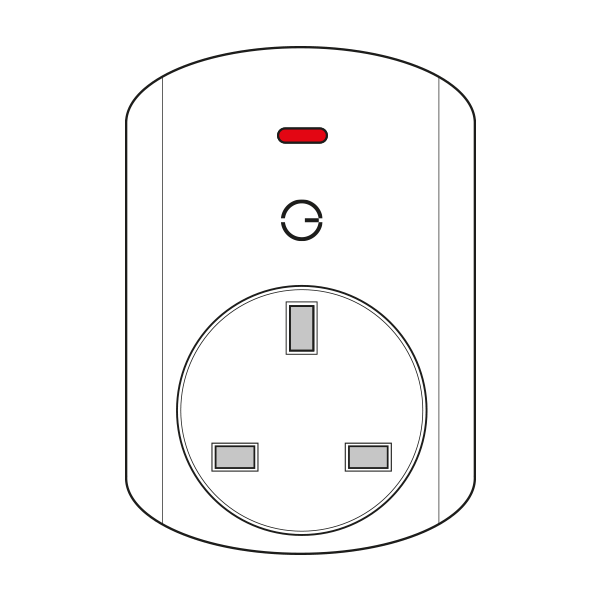 In tall & thin properties the Smart Plugs are often placed centrally on each floor. Do not plug anything into a Smart Plug which needs to remain on all of the time such as a fridge or freezer. The Smart Plugs may intermittently turn off, causing anything that you plug into it to also turn off.